It has been a long 2 years, 6 months, and 25 days since I posted. Perhaps if things do not work out as planned, the next post will come in the year 2014. However if my New Years resolution and my girlfriend have anything to say about it, you will be seeing updates on a regular basis. 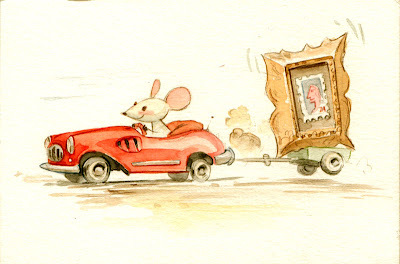 On the plus side, the 2 plus years of hording and hiding art provide a rich surplus of things to fill these internets. So enjoy and check back next week for another update. I'm thinking sci-fi or perhaps something from How to Train Your Dragon. 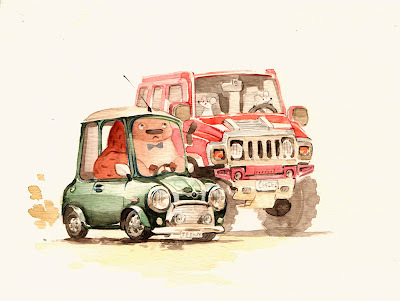 Animals in Cars - I was invited to participate in a Gallery Nucleus show and contributed these two pieces. 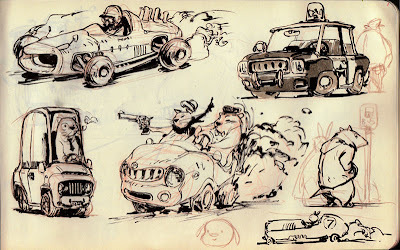 I'm obsessed with cars and combined that with my favorite childhood illustrator Richard Scary. It was my first gallery show and I was amazed that the pieces had sold before I arrived at the opening. 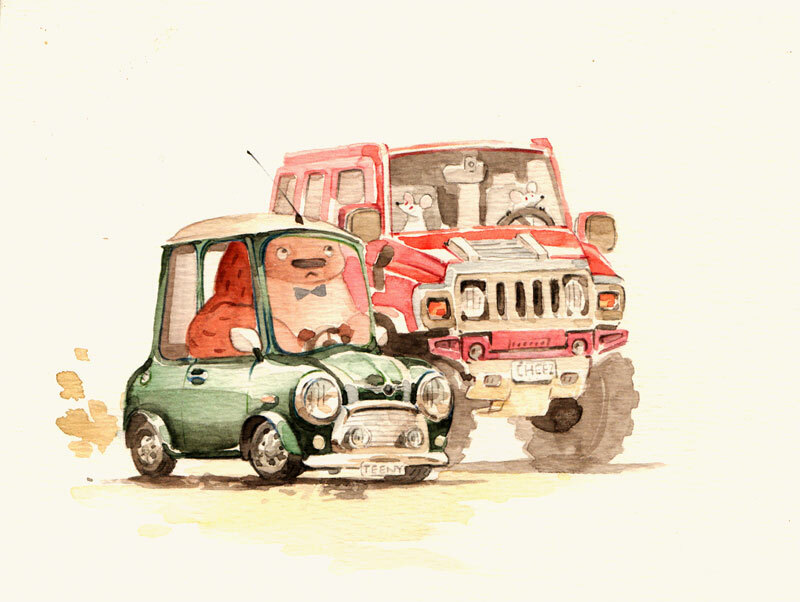 More Animals in cars - Some color sketching in photoshop over a few loose pencil drawings. 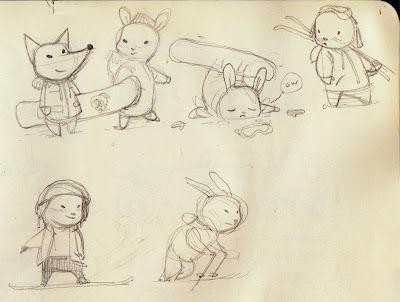 I'm hoping to have time to finish these and complete more. 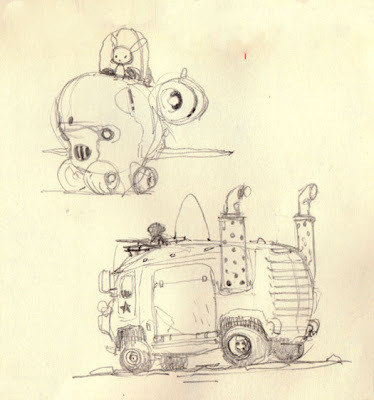 I'm imagining a world of these guys. could be a fun thing to see. 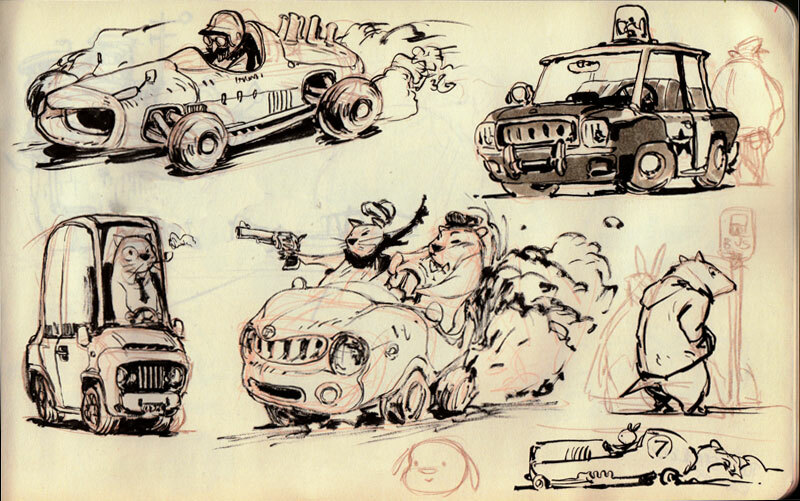 From the sketchbook - A few other pages with animals and vehicles. They need some way to get around. 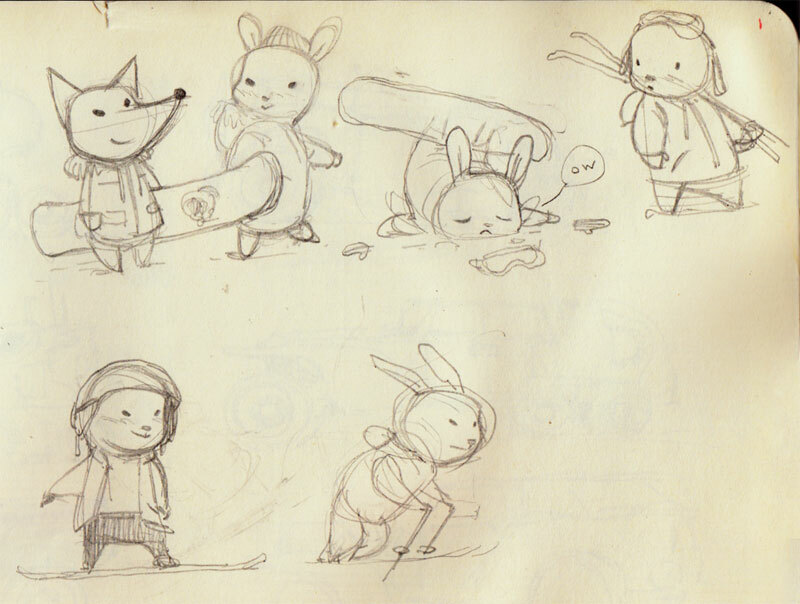 Plus they also really seem to enjoy snowboarding.